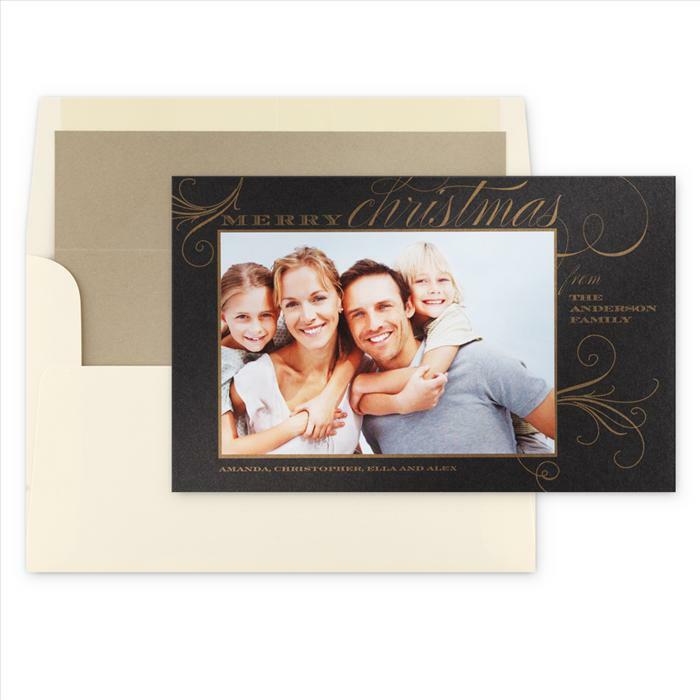 Description: Gorgeous color, great designs, make your holiday card be the one to stand out from the rest! You apply your own photo to these cards with the pre-applied double stick tape. Ink color can be changed on most cards. Text as shown or with your own choice of wording. Please specify personalization. All cards come assembled (if necessary) Return address, envelope linings and guest envelope addressing also available. This card accomodates a 4" x 6" photo.